What else could possibly be more important? RAZ: You know what, Allan? Some people hear gravitational waves, and they’re like, you know – you know, like, what’s the big deal? Because it’s – it doesn’t feel real to all of us, right? So what does this even tell us about where we come from or where we’re going? ADAMS: Oh, my God, it tells you all of the most important things in the world. So to start it tells you where the universe is going. It’s going to expand and expand and expand and get really cold and lonely and big and empty. Yeah, that’s really horrible. It also tells you that that’s not going to happen for an extraordinarily long time. So don’t worry about it too much. That’s a good thing. It tells you that everything around you came from a big bang and then stars cooking up lots of stuff, like carbon and oxygen and nitrogen and all the things that make up the food you eat, except for all the metals and the trace stuff, which came from the collision of two neutron stars, which is completely insane because think about this – where you came from is not Iowa. Where you came from is a star exploding, creating all sorts of elements, having them collapse back into another star. And then it explodes, and it creates more elements, and they fall into another star, but this one turned into a neutron star – turned into a big lump of nothing but neutrons – collided with another one and shot out a huge set of waves. And that is absolutely staggeringly cool. How can we ask why is this important? What else could possibly be more important than understanding where we come from? RAZ: Yeah. You’re really intense – phew. RAZ: I get it, though. I’m pretty blown away, too. ADAMS: Good. It is freaking amazing. What scientific research could be more important? I think there is an argument for foundational questions in practically every discipline of science or the humanities. Because (or so I believe) each of us came from our own Iowa much more than from the stars and are influenced much more by (in no particular order) the medical, social, political, economic, educational, artistic, cultural, environmental and technological aspects of our world. What do you think? Is this just a fair exaggeration in the cause of promoting basic science (a cause I hold dearly)? Is it not even an exaggeration at all (I’m guessing my father for example would say it is not)? Please share your opinion in comments. 9 Comments on What else could possibly be more important? It is a big deal. If fundamental physics would run out of exciting new experimental data allowing to verify (or falsify) predictions of its theories, then theoretical physics would risk to turn into mathematics (or something worse) and stop being physics in the long run. Since the chances to get such new experimental data from high energy physics experiments like LHC are unlikely to get significantly better in the near future, it is fortunate that astrophysical experiments are able to unexpectedly provide relevant experimental data for fundamental physics. You might object that this data just confirmed general relativity, and we were already convinced that it is true anyway. In my opinion, conviction without experimental evidence is fine for one generation or two, but bad in the long run. It can lead to an attitude that experimental verification is neither possible nor required. Just for the record – I wholeheartedly accept that the research is great and richly deserves its recognition. It seems like he sort of muddled up that common argument by neglecting to distinguish between optical astronomy and gravitational-wave astronomy. For example, he makes it sound like gravitational waves were used to discover the big bang, which is obviously false. If you insert a sentence like “Think about all of the amazing things that astronomers and cosmologists have already discovered!” at the beginning of his monologue, it makes much more sense. 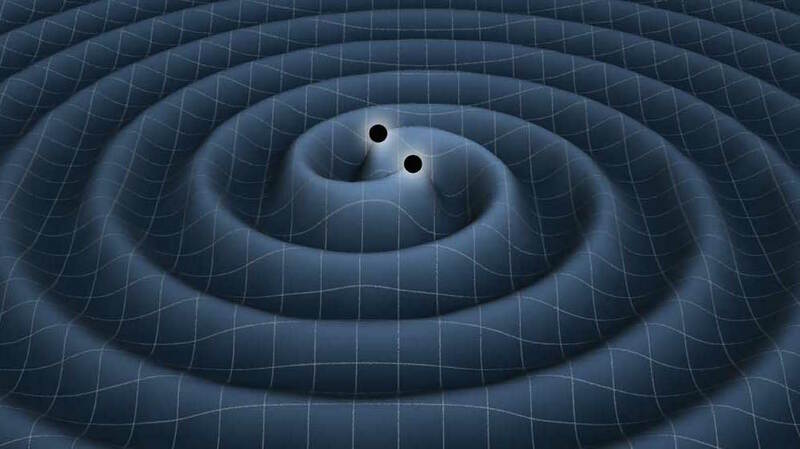 Anyway, gravitational wave astronomy is cool :). By the way, highly recommended video about the absurd numbers involved in the measurement: https://www.youtube.com/watch?v=iphcyNWFD10 . I think it depends a lot on your temporal perspective. Understanding the origins of the solar system is almost certainly not the most important research in the world if your perspective is 5-10 years or 1-2 lifetimes, but if you’re looking forward 100,000 or a million years when humans will need to escape earth.. maybe it is! I highly recommend the sci-fi trilogy “The Three-Body Problem” for thinking more in this way. Doesn’t “looking forward 100,000 or a million years” feels a bit too much like an empty slogan? Should anybody be looking so far ahead in determining the importance of scientific research?